The Ping Womens Rhapsody Driver is specifically designed to meet the needs of lady golfers looking for an extremely forgiving driver with great distance. The 460cc head is equipped with Crown Turbulators to reduce drag for faster ball speeds. The Ping Rhapsody Driver features an adjustable head plus or minus 1* to best fit your swing. I recently purchased a Ping Womens Rhapsody Driver and could not be more pleased with this club. So far I’ve played 18 holes with it five times and have found it much more forgiving and easier to use than my 12 year old TaylorMade driver. The TaylorMade was excellent and served me well but did not have the benefits of this newer technology. I’ve gained more yardage on my drives (on a consistent basis) using my new club. 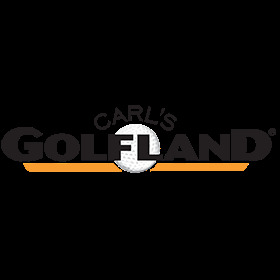 I also purchased the Ping Womens Rhapsody 3 and 5 woods from Carl’s Golfland and am a very happy and satisfied customer. Their price for these clubs is better than you’ll find anywhere else plus they packed and shipped my clubs within a day after me ordering them. A number of women at the course I play at have also purchased these clubs and, like me, brag about how easy they are to use. So if you are looking for a new driver and fairway woods with new technology and at a great price you can’t go wrong with these Ping clubs. I love them! Picked up 20 yards on my drive. Because I am a disabled golfer the light weight allows me to keep my balance and the drives are drawing about 10 yards, just great for me. Only used a couple of times and so far I'm liking it! I love my new Ping Driver. It arrived carefully packaged, on time and without any problems. An easy transaction that works perfectly—what’s not to like! ?